This USB 3.0 memory card reader provides a fast, easy way to access and edit photos and videos on your SD™ and microSD™ cards, wherever you go. 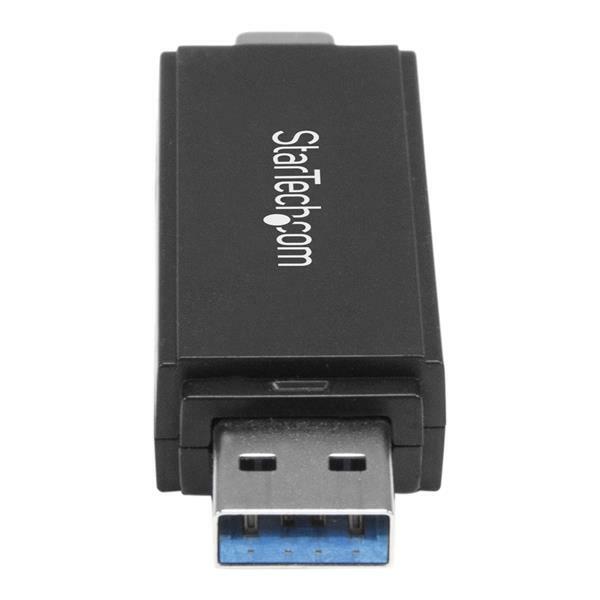 Compact and portable, you can use this USB memory card reader/writer with a laptop, tablet, smartphone or desktop computer that has a USB-C™ or USB-A port. Ideal for photographers, videographers and other creative professionals, the USB memory card reader helps to increase workflow efficiency. When you are out on assignment capturing images and video on your DSLR or video camera, use the card reader to instantly review, share or edit content. When out in the field or traveling, immediately import your photos and videos to access, browse, edit and back up content to your USB-Type™ C or USB-A smartphone, tablet, laptop or desktop computer. The flash memory card reader saves you time when you’re offloading or editing content, with fast file transfer speeds through USB 3.0 (also known as USB 3.1 Gen 1). The card reader is also backward compatible with USB 2.0, ensuring compatibility with older systems. 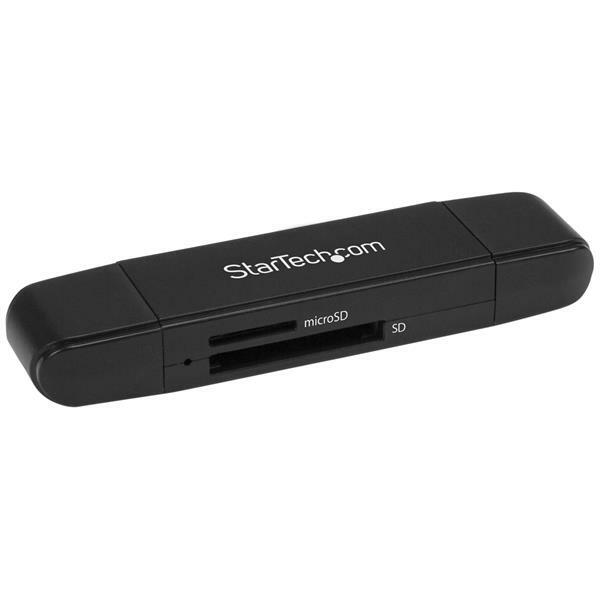 This memory card reader gives you easy read/write access to SD (Secure Digital) and microSD cards, including SDHC™ (Secure Digital High Capacity) and SDXC™ (Secure Digital Extended Capacity) versions of both SD and microSD cards. With its convenient plug-and-play functionality, the card reader is simple to use. One end plugs directly into the USB-C port of your laptop or other device, while the other end works with USB-A devices. The two memory card slots are hot swappable. Compact and durable, the card reader provides a portable solution, tucking easily into your camera bag or laptop bag. 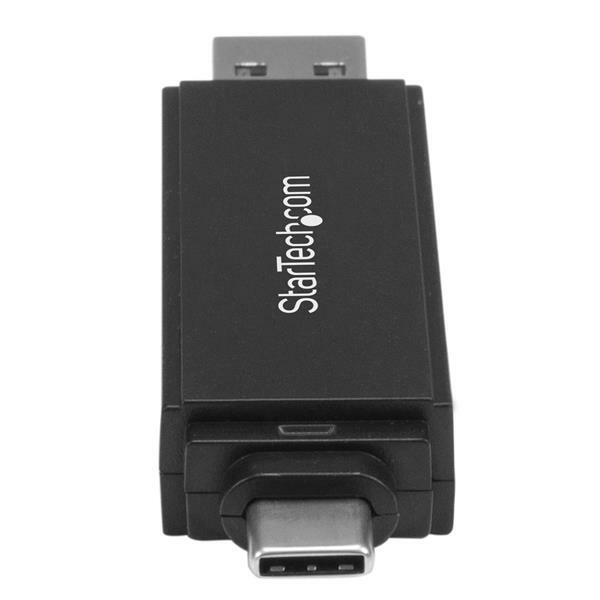 Its versatile design enables the card reader to be used with either USB-C or USB-A devices. Removable end caps protect the ends of the card reader when not in use. The SDMSDRWU3AC is backed by a StarTech.com 2-year warranty and free lifetime technical support.